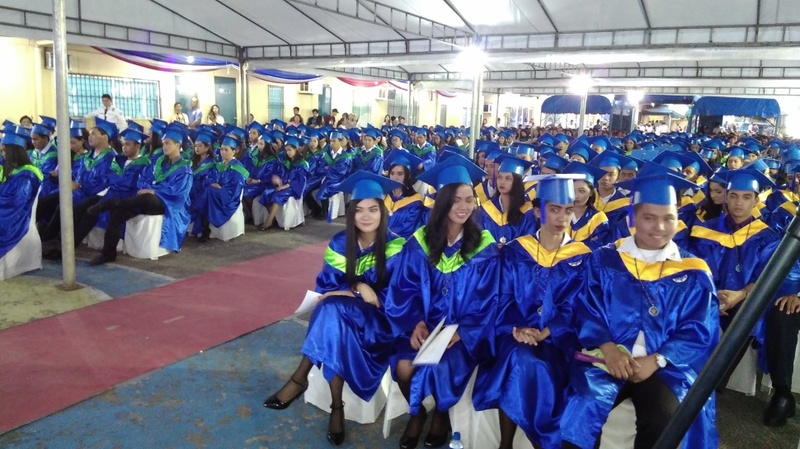 Naga City– The Mariners Polytechnic Colleges (MPC) this city, staged it 45th Commencement Exercises on March 30 , 2019 amidst mixed feelings of achievement, more challenges that lie ahead and thanksgiving. These were savored by the members of the graduating batch, parents and the Mariners academic community. Naga City– Students of Bachelor of Science in Customs Administration (BSCA) of Mariners Polytechnic Colleges (MPC) this city, won the over-all 2nd Place prize in the Project Proposal-Making contest which was part of the ‘We Engage 2019 Sangguniang Panlungsod-Student Participation Program (SP-SPP)’, sponsored by the City Council on March 6, 2019, held at Naga Regent Hotel. 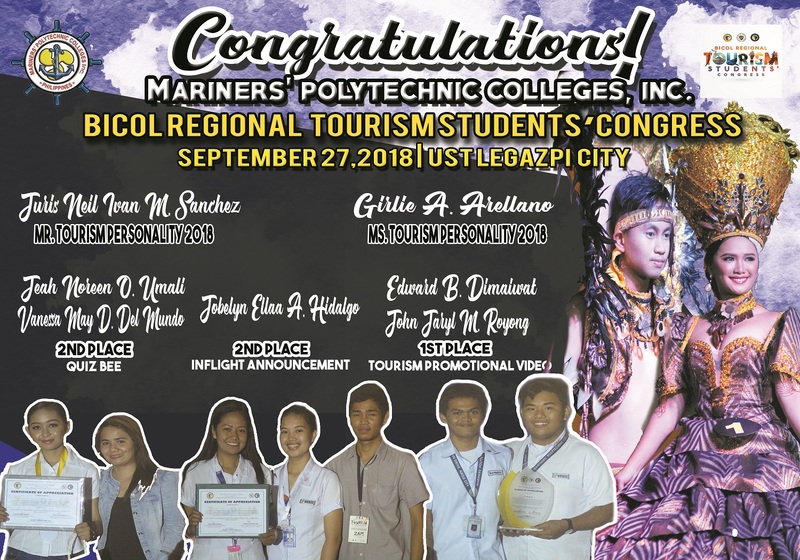 Naga City– A student of Mariners Polytechnic Colleges (MPC) this city, has qualified as one of the finalists in the annual search for the Ten Outstanding Students of Bicol (TOSB), sponsored by Ako Bicol Partylist. Naga City– To continue to strengthen the commitment to service and innovation! 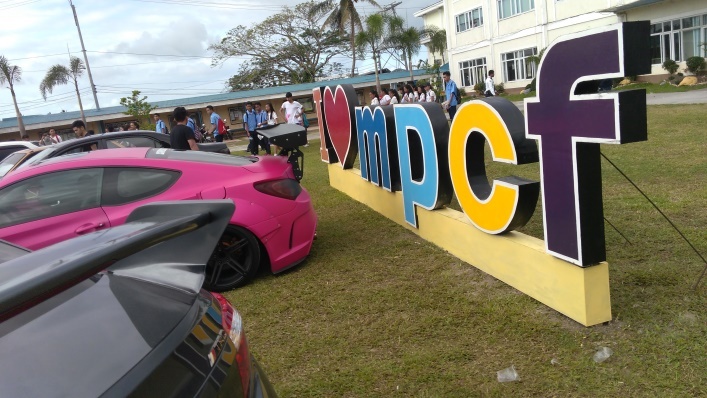 This is the battle cry of the men and women of Mariners Polytechnic Colleges (MPC) this city, as it observed the school’s 45th Foundation Anniversary on March 4 & 5, 2019. 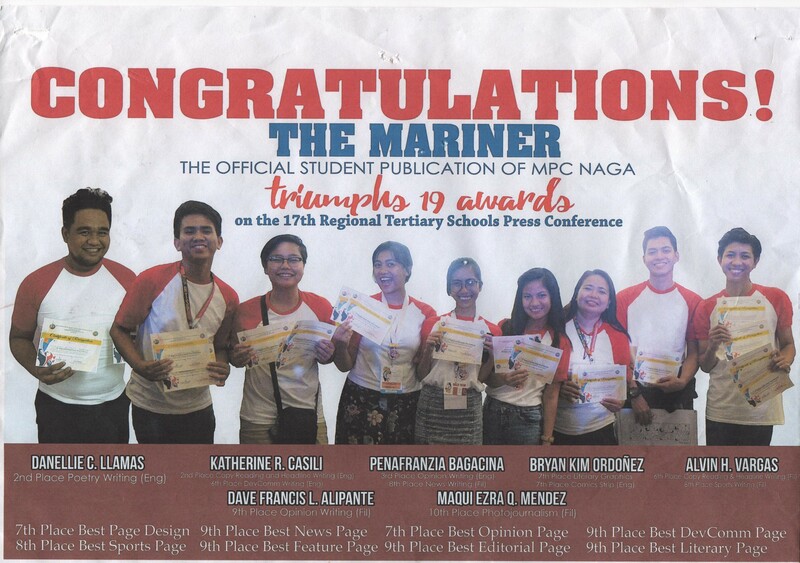 Nabua, Camarines Sur– ‘The Mariner’, the official student-publication of Mariners Polytechnic Colleges (MPC) Naga made it again when it brought home strings of awards from the recently concluded 19th Regional Tertiary Schools Press Conference held at Macagang Hotel and Resort this municipality, from January 16 to 18, 2018. 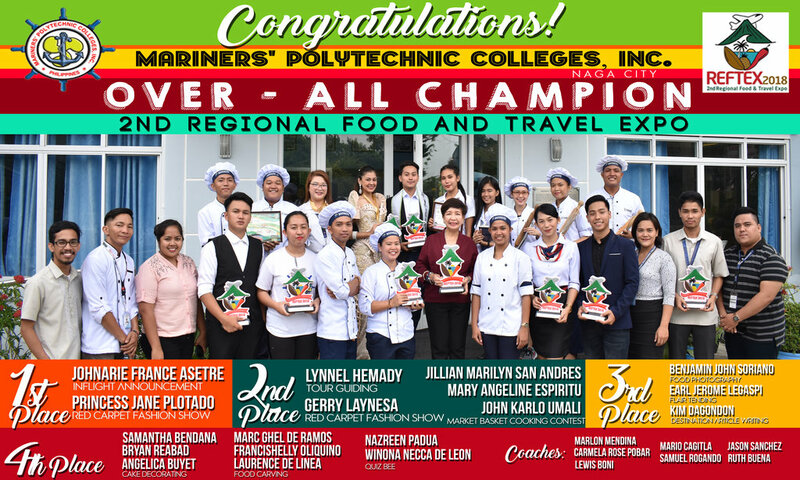 Iriga City– The team of Mariners Polytechnic Colleges (MPC) Naga) bagged the championship award in the Culinary Arts competition while it captured the over-all First Runner-Up honor in the recently concluded 19th Regional Congress of the Association of Bicol Business Students (ABBS) held at the University of Northeastern Philippines (UNEP) this city, from January 31 to February 3, 2019. Naga City– The Mariners Polytechnic Colleges (MPC) in Naga City, Mariners Polytechnic Colleges Foundation (MPCF) in Canaman, Camarines Sur and Tabang Bikol Movement (TBM) thru its Chairman, Evita Jimenez-Tuazon, in cooperation with other private advocacy groups and concerned government organizations have fully supported the ‘Kurit Aki Art Exhibit’ aimed at supporting children of disaster survivors of the recent calamity that ravaged the province. Naga City– The Mariners Polytechnic Colleges (MPC) this city, hosted the signing of the Memorandum of Agreement (MOA) with Phoenix Maritime Corporation for the training and deployment of graduates from the school, as well as those from the sister institution – the Mariners Polytechnic Colleges Foundation (MPCF) in Canaman, Camarines Sur. Metro Manila– The Professional Regulation Commission (PRC) released the names of board passers who took the recently concluded Licensure Examination for Customs Brokers (CBLE) given in November 2018 in Metro Manila, Cebu and Davao City. 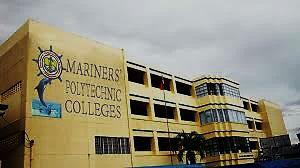 The administration of Mariners Polytechnic Colleges (MPC) in Naga City confirmed that the institution garnered a high percentage of board passers. Naga City– The Mariners Polytechnic Colleges (MPC) this city, is pursuing to strengthen connection with domestic and international organizations and firms to set stronger ties for its advocacy to assist Hospitality Management (HM) students before and after they graduate. Naga City– The Veritas Shipping Company, an international shipping firm with cargo and bulk carrier sea-vessels that sail in the seven seas of the world conducted a qualifying examination on the last week of October 2018, for interested graduating students taking-up Hospitality Management course. 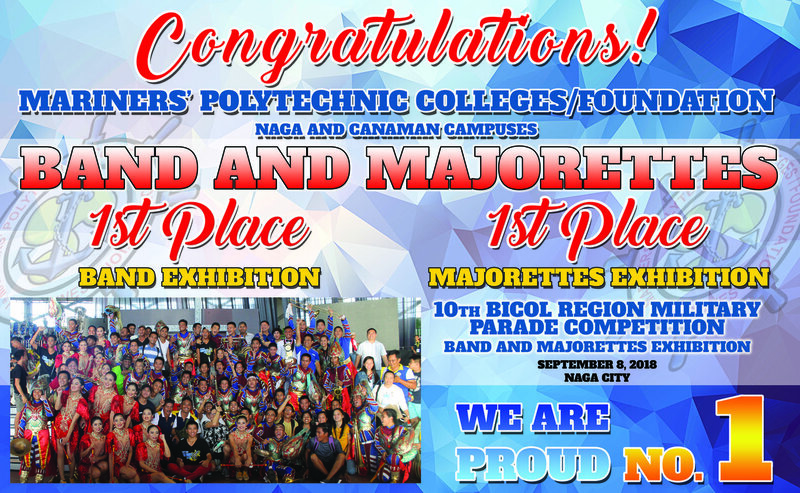 Naga City– Mariners Polytechnic Colleges (MPC) this city, and Mariners Polytechnic Colleges Foundation (MPCF) in Canaman, Camarines Sur have joined their forces in bringing home the top prize in the 10th Bicol Region Band & Majorettes Exhibition Held at the Jesse M. Robredo Coliseum on September 8, 2018. Naga City– The Bureau of Fire Protection (BFP) this city, staged a Fire and Earthquake drill inside the campus of Mariners Polytechnic Colleges (MPC) which served as a reminder for everyone to be ready at all times to mitigate the impact of the hazards brought by these disasters that are usually ignored and taken for granted before they strike. The activity which was participated by the members of the academic community was held on July 11, 2018. Naga City– The Mariners Polytechnic Colleges (MPC) this city, opened classes on June 19, 2018 for academic year 2018-2019 with students, faculty and staff, meeting the day with enthusiasm, vigor and firm determination to achieve the goals set by the institution for the new academic year. This was disclosed by Vice President for Administration Mr. Ely Alipante as he observed the goings-on at the first day of classes. 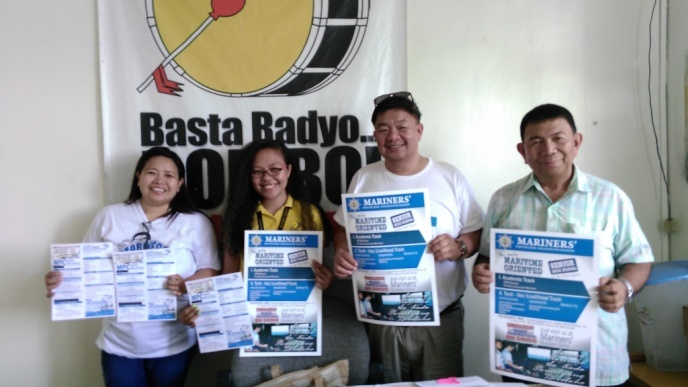 Naga City– The Mariners Polytechnic Colleges (MPC) this city, has launched this year’s enrollment campaign on the school’s program offering for academic year 2018-2019 focusing on Hospitality Management, Business and Communication courses. 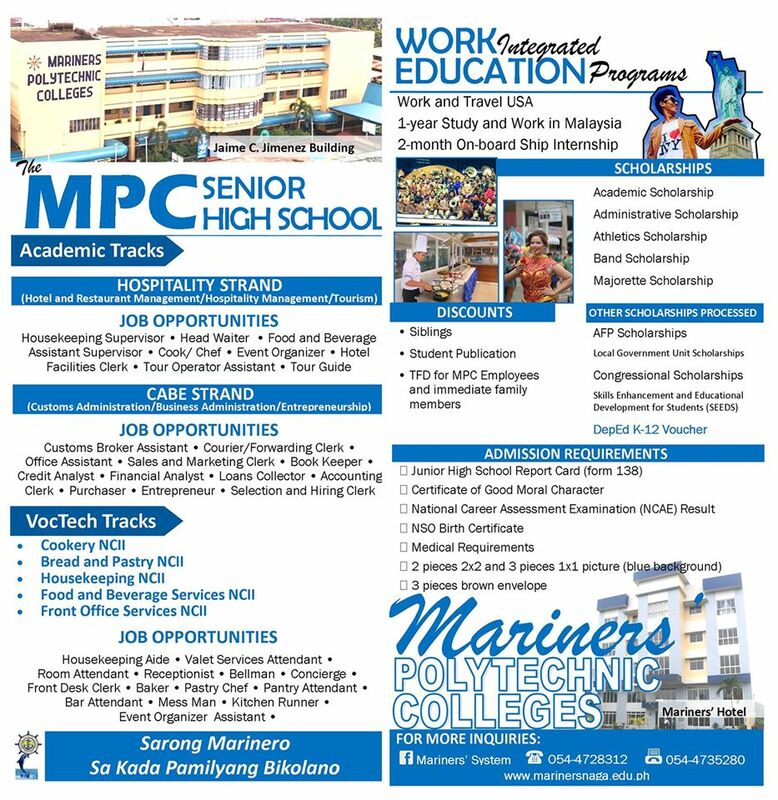 Naga City– The President of Mariners Polytechnic Colleges (MPC) this city, Dr. Marilissa J. Ampuan has sent an open invitation to parents and students to visit the school and see the program offerings it has for Academic Year 2018-2019. This she disclosed while on-air when she graced the Mariners school’s weekly radio program ‘Buhay Marinero’ over RMN-DWNX Station on May 19, 2018-Saturday, as she observed a working birthday schedule. 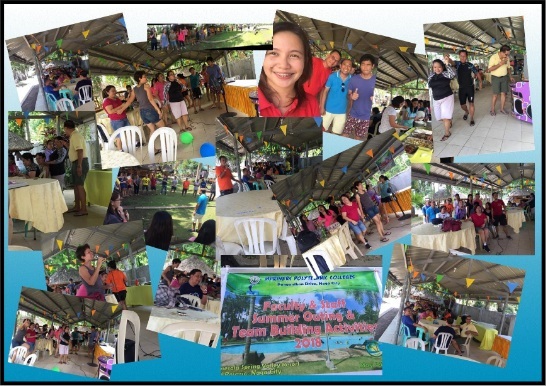 Del Rosario, Naga City– The personnel of the Mariners Polytechnic Colleges (MPC) this city has invested time for a summer outing and team building activity on May 4, 2018 at the Amesola Spring Valley Resort at Brgy. Del Rosario. "Two-day Training on Disaster Preparedness and Comprehensive School Safety for School Employees and Personnel"
Naga City – The Mariners Polytechnic Colleges (MPC) this city, had its 44th Commencement Exercises on April 7, 2018 for the College and Senior High School Departments, held at the school quadrangle with Department of Tourism (DOT) executive and celebrity actor Cesar Montano as Guest of Honor and Speaker. 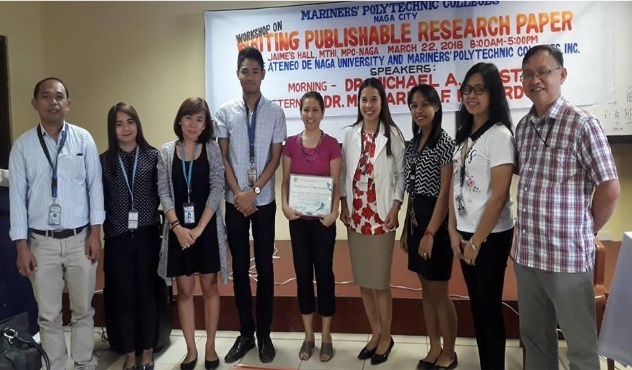 Naga City – The Mariners Polytechnic Colleges (MPC) this city, has underwritten a one-day seminar on “Writing a Publishable Research Paper” on March 22, 2018. 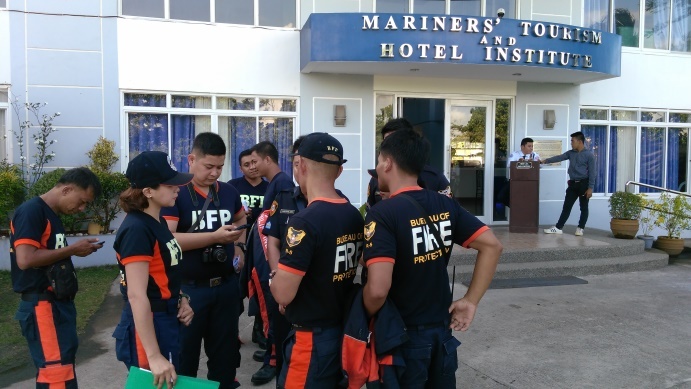 This was attended by eighteen (18) members of school’s faculty and select members of staff, held at the Jaime’s Hall of the Mariners Training and Hotel Institute (MTHI). Naga City – The academic community of Mariners Polytechnic Colleges (MPC) this city, continues to bat fora better and more respectable-looking members of the faculty and staff which reflect the image of orderliness and being effective as professionals in the workplace. Naga City – The Mariners Polytechnic Colleges (MPC) this city, has given recognition to three personnel who have registered ‘Perfect Attendance’ for the month of January 2018. 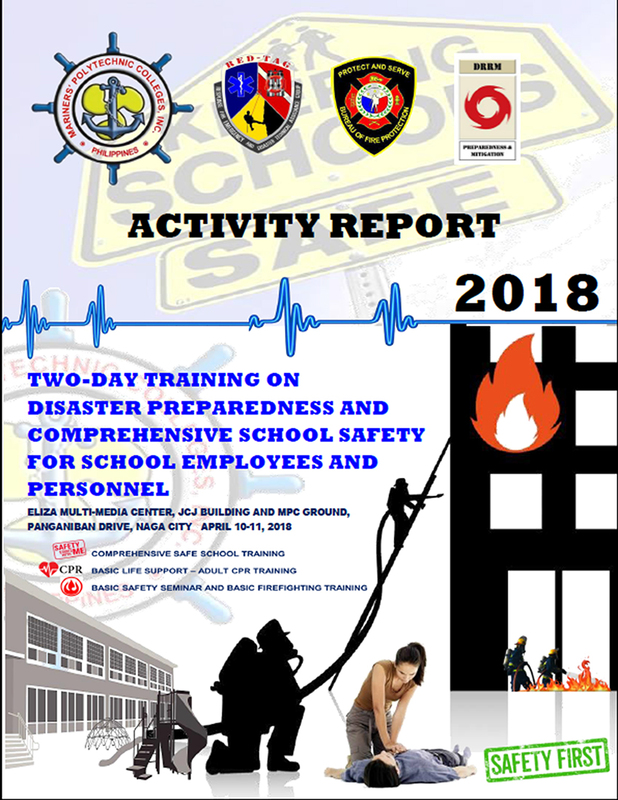 A project envisioned by the school’s Human Resource Department thru its OIC Director Ms. Sheila Artuz- Barzaga, it was implemented at the start of the second semester of academic year 2017-2018. Naga City – The Human Resource Department of Mariners Polytechnic Colleges (MPC) this city, thru its OIC HRD Director Ms. Sheila Barzaga, has introduced a program intended to enhance the corporate image of the institution by giving recognition to the members of the faculty and staff who have put on their uniform or corporate attire in the best way they can. 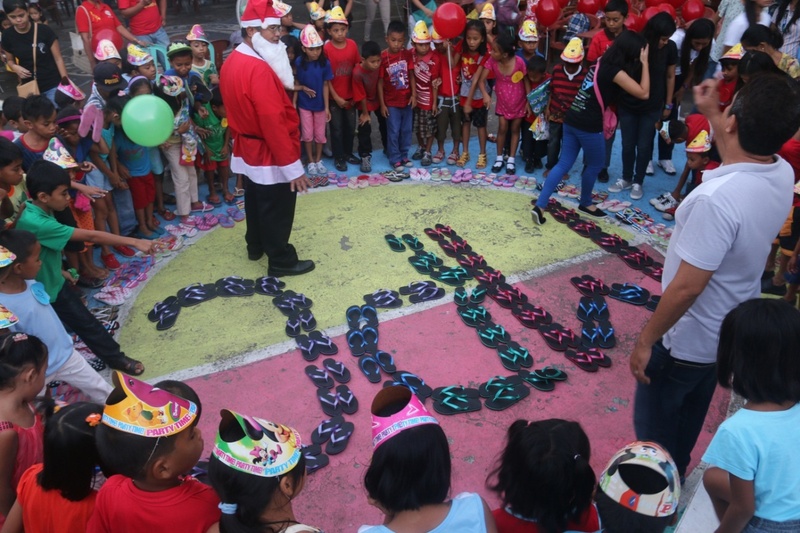 Naga City – The Mariners Polytechnic Colleges (MPC) community this city, has declared a time-out from the hectic schedule of its personnel in December to revel the spirit of the season in a Christmas Party that carried the air of celebrating the season with ‘Fun, Frolic and Barn Motif’. 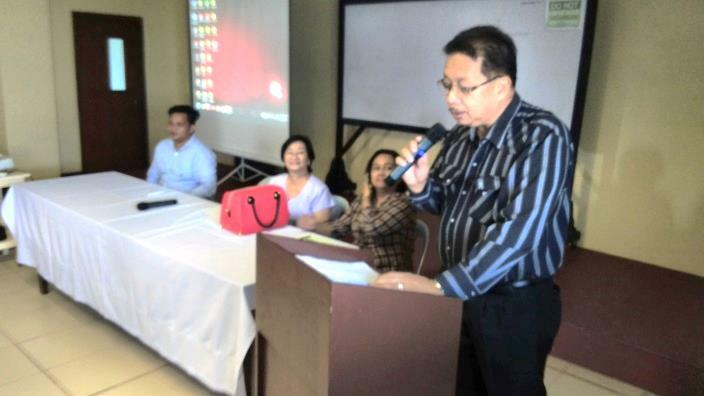 Naga City – The Mariners Polytechnic Colleges (MPC) this city, in a move to provide continuing education for its key academic personnel steered a seminar-workshop on the subject ‘Conceptualizing a Research Proposal’. This was attended by sixteen members of the faculty and non-teaching staff. 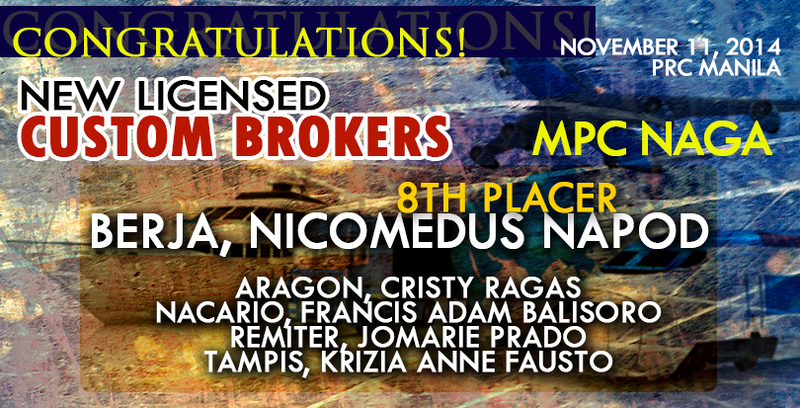 Naga City – The academic community of Mariners Polytechnic Colleges (MPC) this city, exults in the triumph achieved by its graduates of Bachelor of Science in Customs Administration who passed the Customs Brokers Licensure Examination (CBLE) given on November 22 and 23, 2017 by the Professional Regulation Commission (PRC) in Metro Manila. 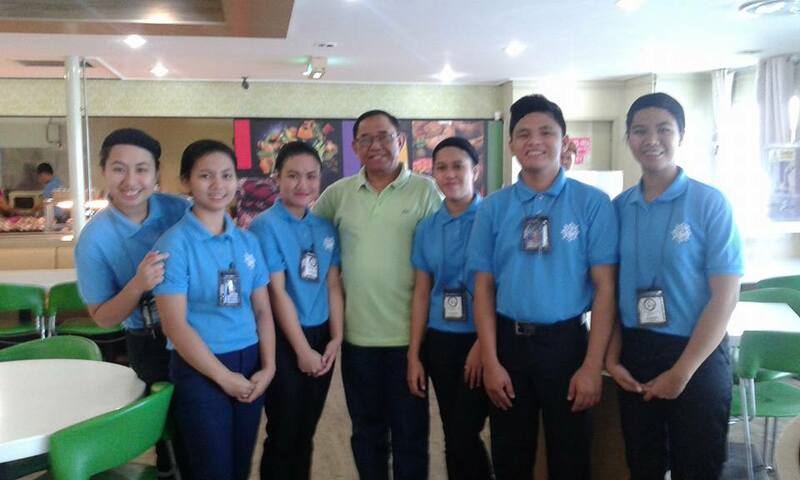 Metro Manila - The Bachelor of Science in Customs Administration (BSCA) department of Mariners Polytechnic Colleges (MPC) Naga City conducted an ‘Aduana Operation’ on November 22 and 23, 2017 in Manila to boost the morale of graduates who took the Customs Brokers Licensure Examination (CBLE) given by the Professional Regulation Commission (PRC). Naga City - The Mariners Polytechnic Colleges (MPC) this city, has formally opened the second semester of academic year 2017-2018 on November 6 for Senior High School while it was on November 13, 2017 for the College level. The opening of classes commenced with the nadministration conveying strong, positive and inspiring message to the students, as well as to school personnel. Naga City – A graduate of Bachelor of Science in Tourism of Mariners Polytechnic Colleges (MPC) this city, has come home from Copenhagen, Denmark after working for two years in the Housekeeping Department of a five-star hotel. Naga City The College and Senior High School Departments of Mariners Polytechnic Colleges (MPC) this city have successfully conducted this year’s Intramurals from October 11 to 14 2017, dubbed as the 2017 ‘Battle of the Olympians’. 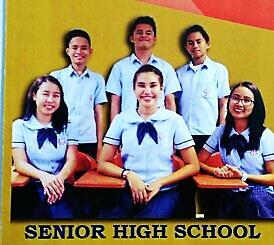 Naga City – The Supreme Student Government (SSG) and the Parent-Teachers Association (PTA) of Mariners Polytechnic Colleges (MPC) this city, have elected their new set of officers for academic year 2017-2018. Naga City In line with the school’s thrust for a continuing education under the personnel development program for the members of the faculty and staff, fifty-seven (57) employees of Mariners Polytechnic Colleges (MPC) this city attended a half-day Stress Management Workshop on September 30, 2017. It started at 8:30 in the morning with the event having been initiated by the OIC Human Resource Department head Sheila A. Barzaga. The employees of MPC-Naga join an action activity at the Stress Management Workshop led by Clinical Psychologist and member of the college faculty of Ateneo de Naga University Ms. Gilda Gail Abonal-Gomez. Ms. Gomez also works at the Local Government Unit of Naga City. 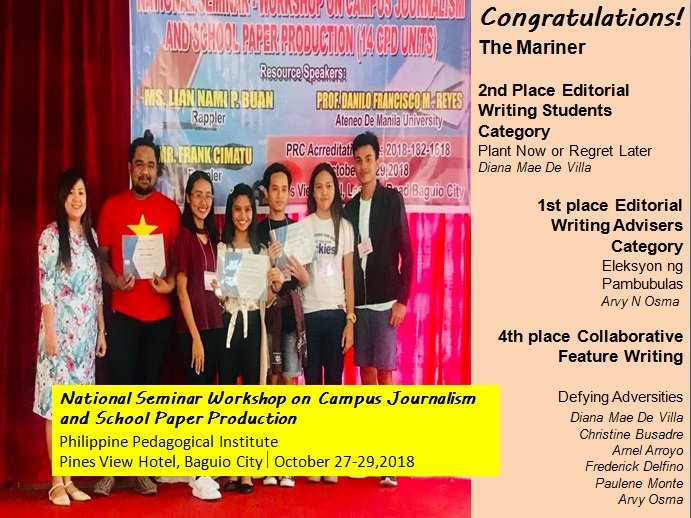 Boracay, Malay, Aklan -The student publication of Mariners Polytechnic Colleges (MPC) Naga City ‘The Mariner’ has bagged several awards in different categories in the recently concluded national competition at the 11 th National Media Conference held in Boracay, Malay, Aklan. The activity was organized by the School Pers Adviser Movement, Inc. from September 13 to 15, 2017. Two-hundred and fifty (250) students together with sixty-eight (68) advisers from all over the country participated and competed in the event. The MPC-Naga contingent acknowledges the wholehearted support given by the school administration to the school’s student publication team who fought it out to bring home the honor which the Institution deserves. Meanwhile, the school administration thru President and Chief Executive Officer Dr. Marilissa J. Ampuan has extended congratulatory message to the campus journalists who made it happen. Naga City – The Mariners Polytechnic Colleges (MPC), this city was honored by the visit of the image of Our Lady of Peñafrancia via a solemn procession from the San Francisco Church along Peñafrancia Avenue to the school campus at Panganiban Drive on September 4, 2017. 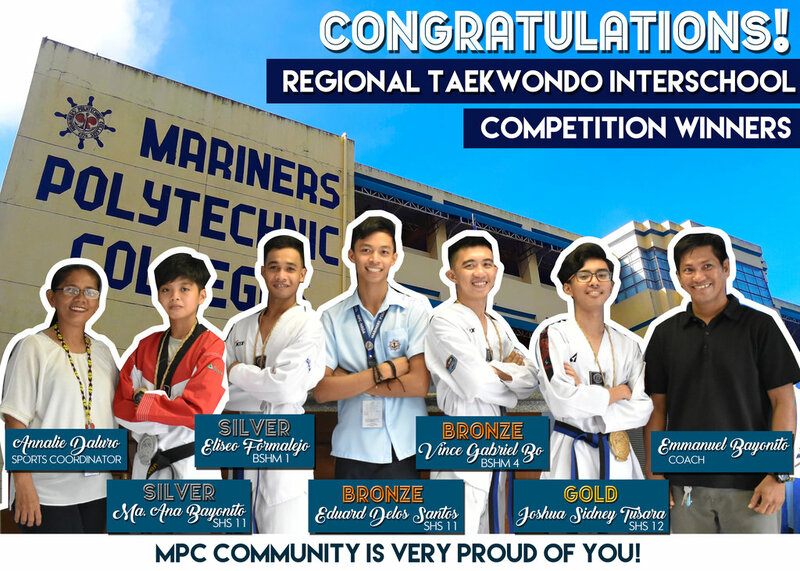 Pili, Camarines Sur – The Senior High School Taekwondo Team of Mariners Polytechic Colleges (MPC) Naga City garnered major awards at the Regional Interschool Competition held on September 2, 2017 at the Provincial Capitol Complex, in Cadlan, Pili, Camarines Sur. 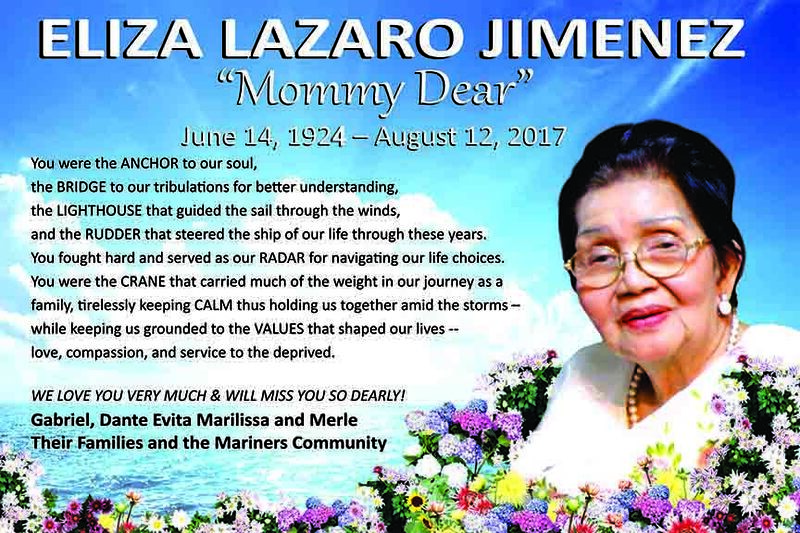 In loving memory of ELIZA LAZARO JIMENEZ, Chair Emeritus of the Mariners System in Bicol region, died in the Peace of the Lord on Saturday, August 12, 2017 at the age of 93 years old in Naga City, also her place of birth. She was born to the late Severino Lazaro and Basiliza dela Torre on June 14, 1924. 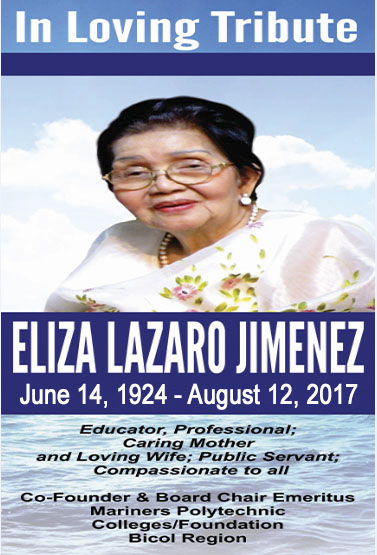 ELIZA was the widow of the late Jaime Chavez Jimenez, 69 native of Libmanan, Camarines Sur who was the proud Founder of the Mariners Polytechnic Colleges Foundation) MPCF) in Canaman, Camarines Sur, Legazpi City in Albay and in Naga City as well the Mariners Training Center in Manila. They bore seven children –Joselito, Gabriel, Dante, Evita, Marilissa, Jaime Jr and Merle with Joselito and Jaime Jr who passed away earlier in life. The remaining four days of her wake were spent at the Mariners Canaman Chapel which she helped build in the institutions’ formative years. Canaman, Camarines Sur - The Mariners System and the Jimenez family have expressed profound gratitude to all who in one way or another have condoled with the family in their time of bereavement. Naga City - The Mariners System (MPCF-Camarines Sur and Legazpi City, MPC-Naga and other sister establishments under the MS umbrella) mourns the demise of its co-founder and matriarch of the Institution – Madame ELIZA LAZARO JIMENEZ. She was an ‘institution’ within the Institution even after her retirement. It can be recalled that during the first few months of this year, she was still seen attending major school events such as the graduation rites and the First Friday Masses held at the Chapel of the campus. She will be missed by everyone whose lives have been touched by her. She will be fondly and lovingly remembered as Educator, Professional, Caring Mother, Loving Wife, and Public Servant who was compassionate to all. 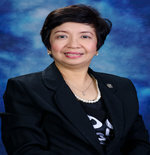 She was Madame Eliza Lazaro Jimenez, the Board Chair Emeritus of Mariners Polytechnic Colleges/Foundation. 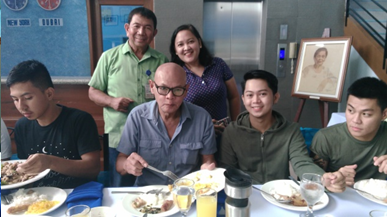 Naga City - The Mariners System has become part of the Indie Film ‘What Home Feels Like’ by extending support to the production team when it had its location shooting in the Cities of Naga and Legazpi. Naga City - The academic year 2017-2018 for Senior High School (SHS) at the Mariners Polytechnic Colleges (MPC), this city has started on June 5, 2017. 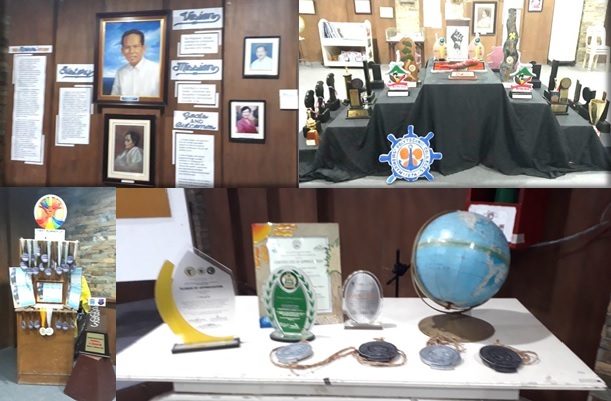 Naga City - The organization of Sumaro Bicolnon, Inc., a non-governmental organization which carries the advocacy to preserve Bicol Culture and Heritage has conferred a posthumous award to Commodore Jaime C. Jimenez, Founder of the Mariners schools. He is cited for his active participation in the guerilla movement during World War II in fighting the Japanese invaders in the area and for his pioneering work in establishing schools for Seafarers in the Bicol Region. 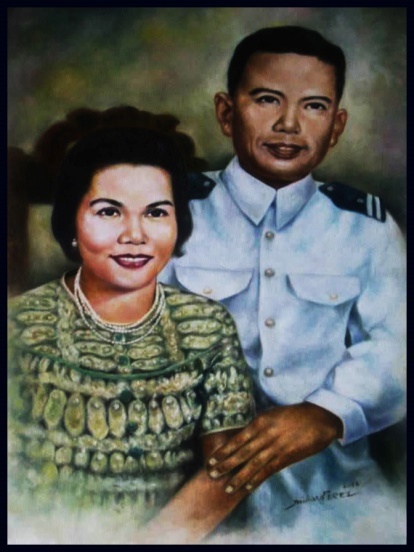 (Left picture) The Late Commodore Jaime C Jimenez, with wife Eliza Lazaro-Jimenez. (Right picture) The ribbon-cutting ceremony at the Sumaro Bicolnon awards rites held at the Holy Rosary Minor Seminary in Naga City. 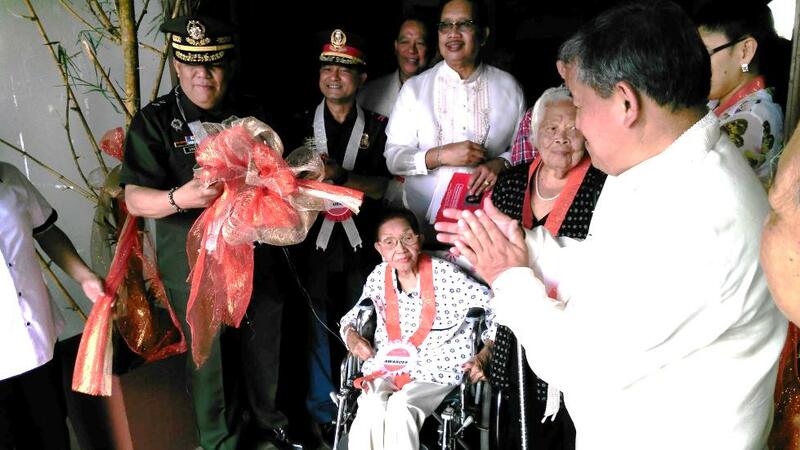 Mrs Eliza Lazaro-Jimenez (center, seated on a wheelchair) cuts the ceremonial ribbon. Present in the occasion are (L-R) Philippine Army’s 9th Infantry Division Commander Major General Manolito Orense, PNP Regional Director for Bicol P/CSupt. Melvin Ramon Buenafe, former Naga City Mayor Sulpicio Roco, Jr., Mariners Board of Trustees Member Dr. Gabriel L. Jimenez (at the back of Mrs. Jimenez) and Sumaro Bicolnon President Ramon Olano (extreme right in white barong tagalog suit). Naga City - The academic communities of Mariners Polytechnic Colleges (MPC) this city and Mariners Polytechnic Colleges Foundation (MPCF) in Canaman Camarines Sur remembered the natal day of the schools’ President and Chief Executive Officer Dr. Marilissa J. Ampuan on May 19, 2017. Although the celebrant was in Davao City on the day of the occasion attending to official functions for the school, the personnel of the two institutions have extended their greetings via messages sent to the school head. The faculty, staff and students appreciate the fact that the President has opted to be at work even on this special day. 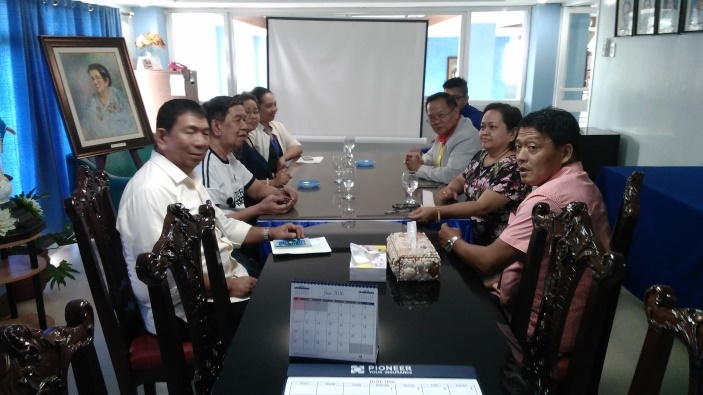 With the two institutions (Mariners Naga and MPCF-Camarines Sur) under her stewardship, they have pledged their continuing support and cooperation to her leadership. With about a month before the start of the first semester of Academic Year 2017-2018, the schools are now in the thick of preparation for the opening of classes. 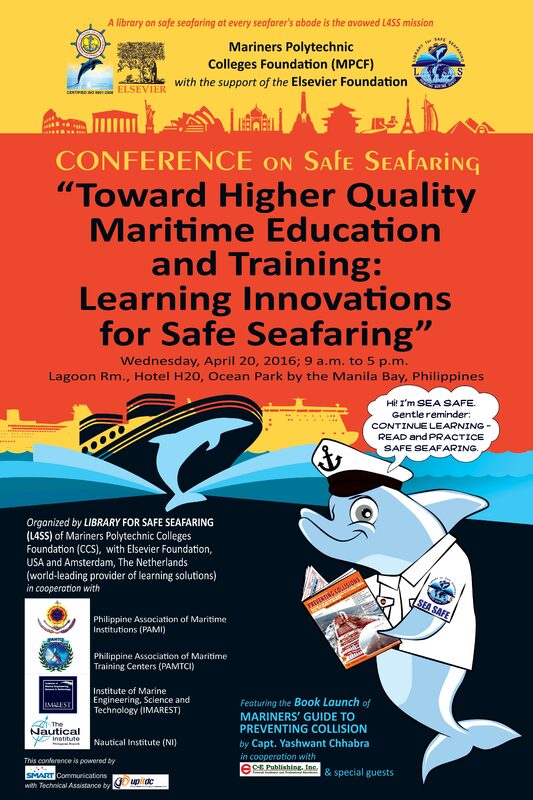 Enrollment is now in full swing while the schools’ marketing group continues with its campaign to reach out to parents and students to consider entering the Mariners’ Senior High School and avail of any of the various tracks including those which will lead them to taking-up baccalaureate degree courses such as the Maritime Track for those interested to become Seafarers. The synchronized moves of the Mariners academic community both in the Naga and Camarines Sur campuses fit well with the leadership of the schools’ President and CEO who was at work even on her birthday! Naga City - A Hospitality Management graduate of Mariners Polytechnic Colleges (MPC) this city has shared her story of how she got the opportunity to work in a five-star hotel in Dubai. This, she disclosed in a testimony aired over Mariners System’s weekly Saturday program ‘Buhay Marinero’ at DWNX Radio in Naga City. 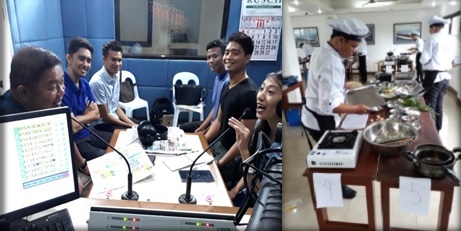 (Left picture) MPC-Naga Alumnae Bannah Ceguera (center) as a featured guest at the Mariners System’s ’weekly radio program with program anchor - MPCF-Cam Sur VP for Student and External Affairs Napoleon Mangente . Together with the guest is her mother, Mrs. Ceguera. 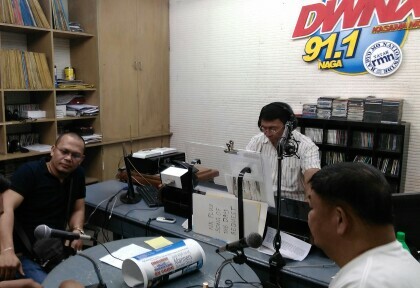 (Right picture) The “Buhay Marinero’ Radio Team of Mariners System in action. In the course of the interview, she narrated how she was able to make both ends meet as a student, supported by her single Mom while she has other siblings who also had to be sent to school. As a student, Bannah had to work double-time for the academic requirements she had to attend to while finding time to earn extra income by working as member of the service crew of a fast food chain. She admitted it was hard and it required patience and perseverance. However, she realized that the job she had was relevant to the course she was taking-up while it helped her finance her college studies. Despite the challenge, she was able to manage to finish her course with honors. After graduation, she worked as front-desk steward at Villa Caceres Hotel in Naga City. She related that this job she got put her into test especially in putting into work what she learned in school. She recalled the challenge she went through while studying and working, at the same time. Now, while on vacation, she and her Mom had the opportunity to be back at Villa Caceres Hotel not to work but to relax as hotel guests in one of its suites. At present, Bannah works as Assistant to the General Manager in a five-star hotel in Dubai in the United Arab Emirates. 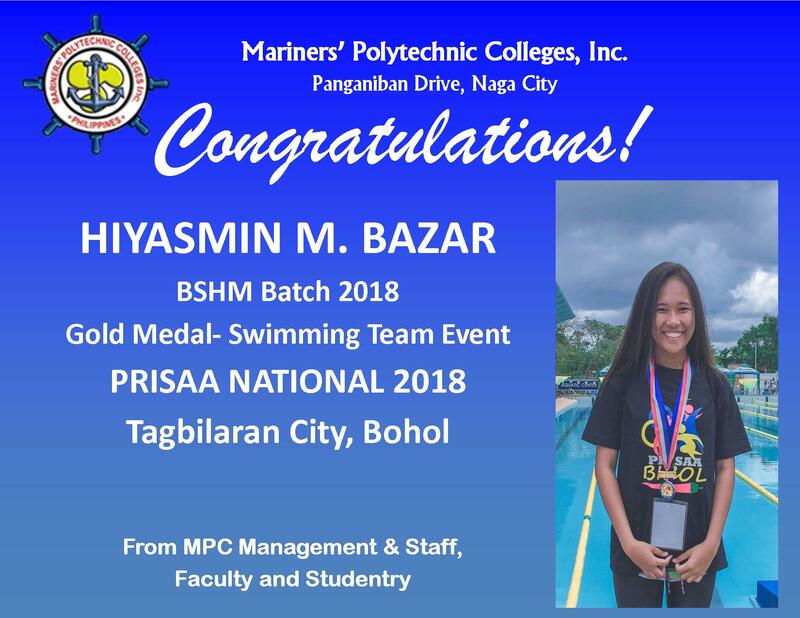 She concluded in the radio interview by saying that she values the education and training she got from Mariners Polytechnic Colleges-Naga and the Hospitality Management course she took-up as this propelled her to land a well-paying job in the Middle East. Canaman, Camarines Sur - The Mariners schools in Bicol commemorated the 95th birth anniversary of the late Commodore Jaime Chavez Jimenez, Founder of Mariners' Polytechnic Colleges/Foundation (MPC/F), in fitting ceremonies held at the Camarines Sur campus. 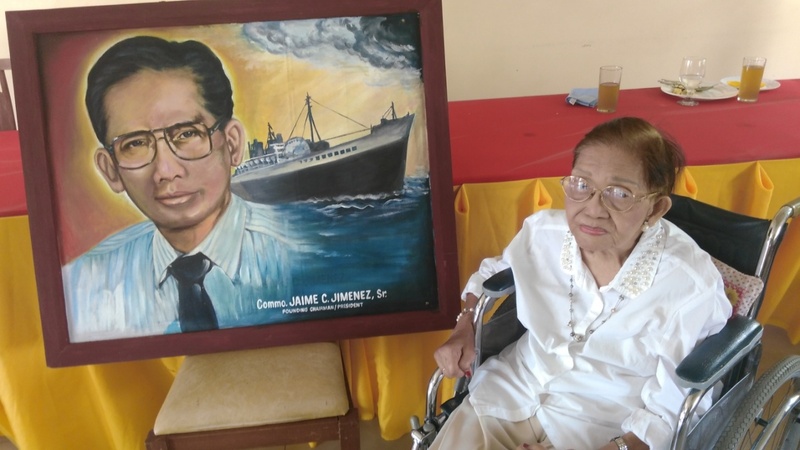 Mariners System's Chairperson Emeritus Madame Eliza Lazaro Jimenez poses beside a painting of the late Founder Commodore Jaime C. Jimenez, Sr. before the start of the program and luncheon on the occasion of his 95th Birth Anniversary held at the International Culinary Training Center (ICTC) of MPCF in Canaman, Camarines Sur. Naga City - With the onset of summer, Mariners' Polytechnic Colleges (MPC) this city and Mariners' Polytechnic Colleges Foundation (MPCF) in Canaman, Camarines Sur have intensified the information drive for the K to 12 program for both schools to prepare parents and students who will enter the Grades 11 and 12 levels. 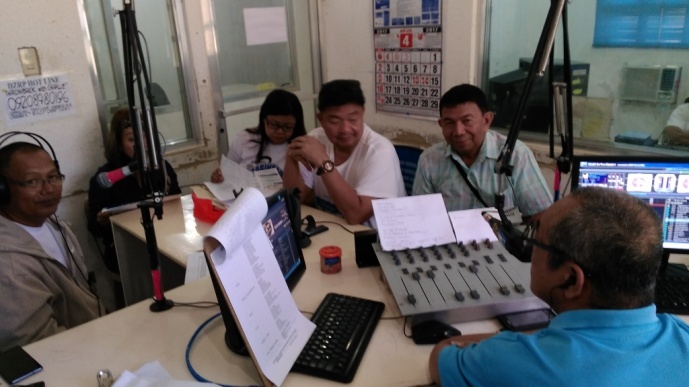 (Left picture) The Mariners Team (L-R) MPCF-CamSur Senior High School Principal Eden Arenas (second from left in black shirt), MPC-Naga Student Affairs Services (SAS) Director Hazel Palacio, VP for Student and External Affairs Napoleon Mangente and Corporate Public Affairs Officer Elmer Abad as they are interviewed by Anchormen-Broadcasters Audie Concina (Extreme left) and Bong Siera (extreme right, back to camera) of Radio Station DWRP in Goa, Camarines Sur. (Right picture) The Mariners Team with Bombo Radio Naga Station Manager Rita Labanon, an alumnae of Mariners Naga (2nd from left in yellow shirt) during the radio visitation and hopping to drumbeat Mariners' Senior High School - K to 12 program. Naga City - The Crew Supply Manager of North Sea Marine Services Corporation - Mr. Rafael P. Silva has graced Mariners' Polytechnic Colleges (MPC), this city as Speaker in its 43rd Commencement Exercises held on March 25, 2017 at the MPC Quadrangle. The 43rd Commencement Exercises at Mariners Polytechnic Colleges (MPC) in Naga City as Graduation Speaker Crew Supply Manager Rafael P. Silva delivers his inspiring address to the graduates. Naga City - The Mariners' Polytechnic Colleges (MPC) this city has given awards to thirteen (13) of its personnel at the 43rd Foundation Anniversary celebrated on the 3rd and 4th of March, 2017. 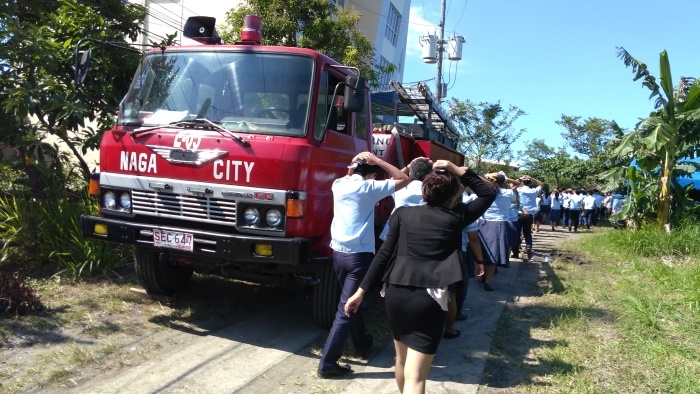 Naga City - Personnel of the Naga City Fire Station of the Bureau of Fire Protection (BFD) conducted fire and earthquake simulation exercises on March 15, 2017 at the campus of Mariners' Polytechnic Colleges (MPC) along Panganiban Drive, this city. 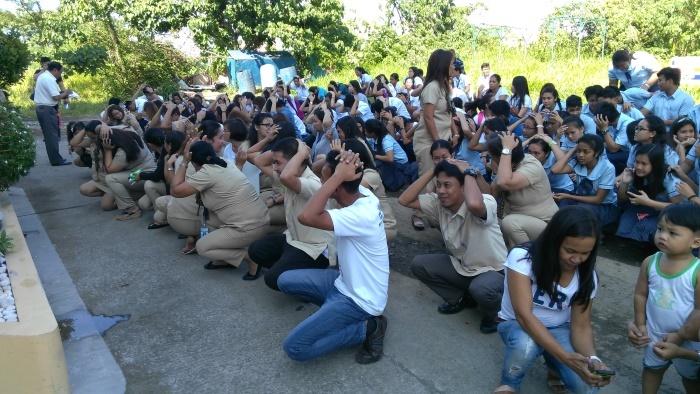 The Fire and Earthquake Drill conducted at the MPC campus with the students, faculty and staff as participants and the personnel of the Bureau of Fire Protection (BFD) as mentors. Naga City and Canaman, Camarines Sur - The Mariners' Polytechnic Colleges Foundation (MPCF) in Canaman and the Mariners' Polytechnic Colleges (MPC) in Naga City commemorated the 43rd year of service to the Bicolano community on March 3 and 4, 2017 in fitting simultaneous activities conducted in the two campuses. The main buildings of the different Mariners campuses in Bicol as the institution commemorates its 43rd Foundation Anniversary. (Left picture) The festive mood at the car show with vehicles owned by school alumni displayed inside the Canaman campus. Note the visiting Senior High School students from other schools who toured the school. 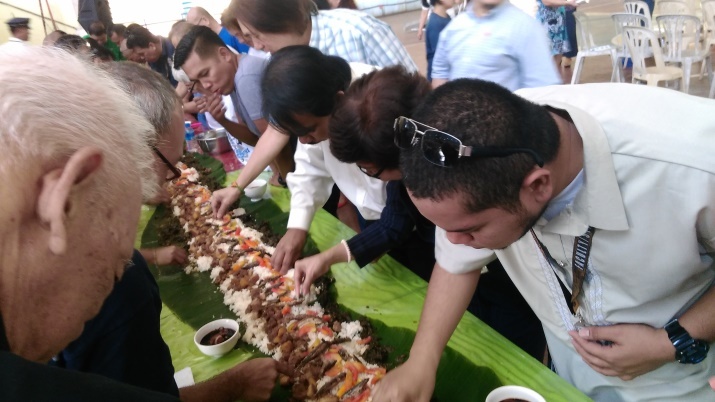 (Right picture) The 'Boodle Fight' held at lunchtime to celebrate the day. (R to L) MPCF HR Head Karlo Ampuan, President/CEO Dr. Marillisa J. Ampuan (in dark coat) and MPCF Legaspi President and CEO Dante La. Jimenez together with the members of the local media, students, faculty and staff. 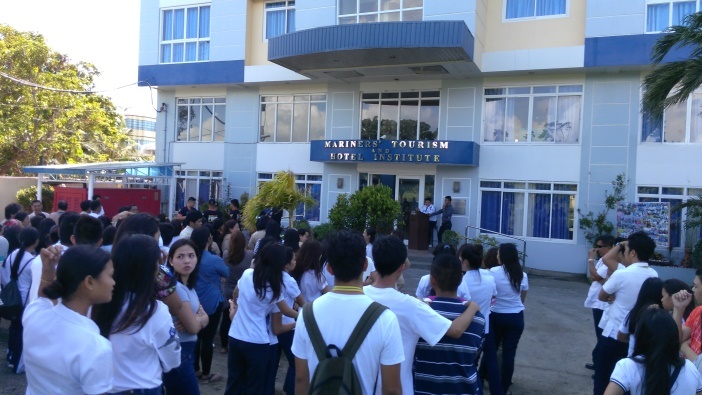 Naga City - Fifty six students of Mariners' Polytechnic Colleges (MPC) this city underwent a seven-day training aboard a cruise and passenger sea vessel of 2Go Shipping Company. HRM and HM students of Mariners' Polytechnic Colleges (MPC) Naga pose with VP for Administration Col. Ric Brizo (right picture-center) and Practicum Coordinator Ms. Mary Ann Gantong (left picture-2nd from left) aboard a 2Go sea-vessel during the 7-day On-Board Ship Training from January 22 to 27, 2017 from Manila to Zamboanga City and vice versa. To all the WAT-USA BSHRM participants and other BSHRM 4th year students. Limited slots only... Please visit Practicum Office. 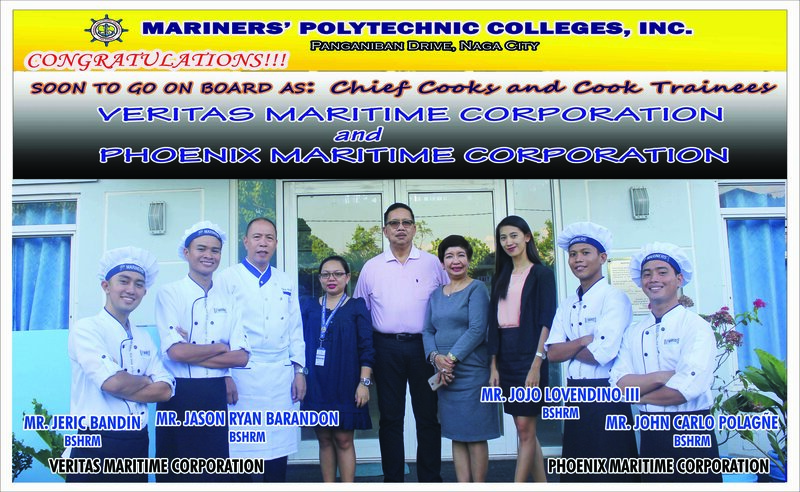 Naga City - Short courses offered at Mariners Polytechnic Colleges (MPC) this city open various work opportunities to those who join the Cruise Ship on-the-job-training (OJT) being facilitated by the school. 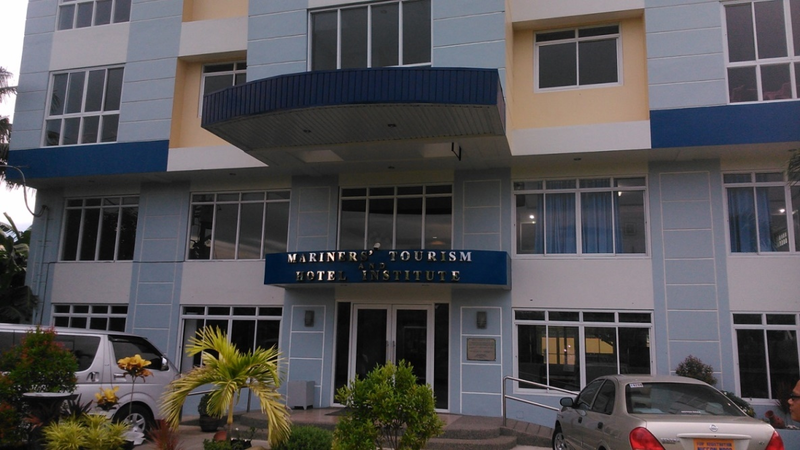 The five-storey Mariners Tourism and Hotel Institute (MTHI) of Mariners Polytechnic Colleges (MPC)-Naga along Panganiban Drive houses the facilities where students taking Hospitality Management and other related disciplines have their skills honed to prepare them to be globally-competitive with their acquired skills. 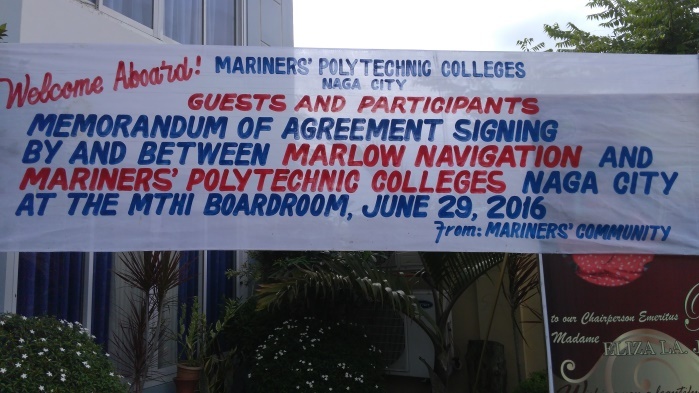 Naga City - Executives of Marlow Navigation (Philippines) Inc., one of Europe’s biggest shipping companies visited Mariners Polytechnic Colleges (MPC), this city on June 29, 2016 for the signing of the Memorandum of Agreement (MOA) on the scholarship grant to qualified students. Marlow Navigation Country President Captain Leo Tenorio (3rd from right) and Prospective Officer Recruitment Career Development Manager Mr. Dan Aldrich Tolentino (4th from right, partly hidden) together with school officials led by VP for Academic Affairs Dr. Mariel Estrella (2nd from right) during the MOA signing held at the Boardroom of MPC-Naga’s Mariners Training and Hotel Institute (MTHI). Naga City - Philippines Transmarine Carriers Inc.’s Assistant Vice President for Crewing Operations-Off Shore Division - Engr. Petercon A. Lugue honored the members of the graduating batch of 2016 as the school’s commencement speaker at the 42nd graduation exercises at the Mariners Polytechnic Colleges (MPC) this City. Philippines Transmarine Carriers Inc.’s Assistant Vice President for Crewing Operations-Off Shore Division - Engr. 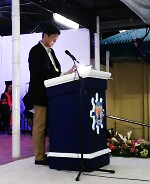 Petercon A. Lugue was MPC-Naga’s Commencement Speaker at 42nd Graduation Exercises. 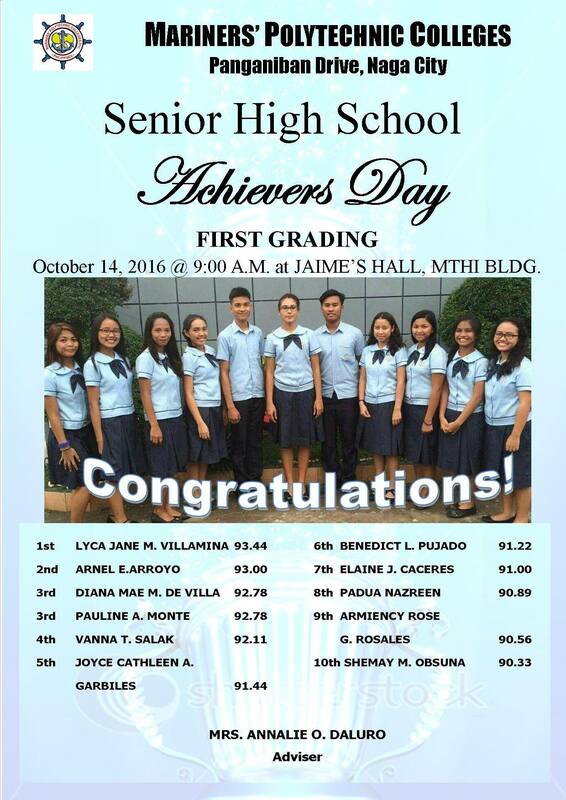 Naga City - Four out of 276 members of the 2016 graduating batch has qualified for academic honors at the end of academic year 2015-2016 at the Mariners Polytechnic Colleges (MPC), this city. 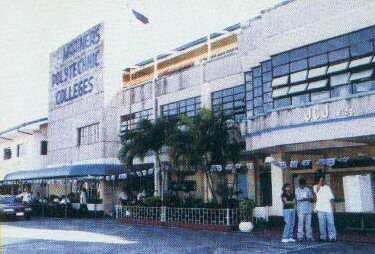 Naga City - The Mariners' Polytechnic Colleges, Inc. (MPC), in this city has given honor to 192 undergraduates and graduating students on March 29, 2016. APRIL 20, 2016. 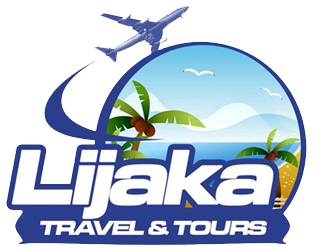 Come, join and learn... ALL ABOARD! 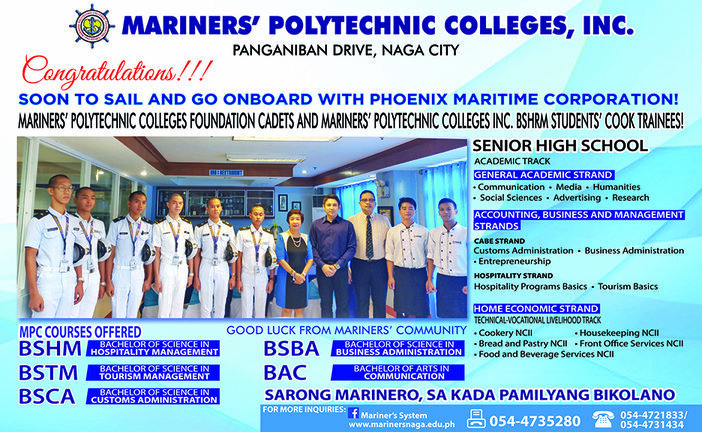 Naga City - The Mariners' Polytechnic Colleges (MPC) this city has opened its doors to the two-month On-Board Cruise Ship Training Program aboard luxury liners of 2GO Shipping Company. 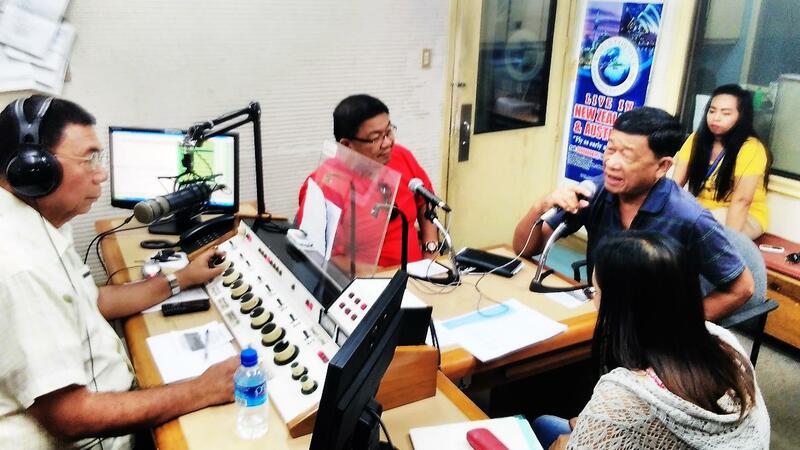 MPC-Naga Shipboard Training Coordinator Ensign Jose Parcia (3rd from left) explains to listeners the details of the Cruise Ship Training Program at the Mariners System's weekly radio show 'Buhay Marinero' over RMN-DWNX Naga. In the picture are the program anchors - Mariners System's Corporate Public Affairs Officer Elmer Abad (extreme left) and MPCF-Camarines Sur's VP for Administration Napoleon Mangente (in red shirt), as Ms. Mary Ann Gantong (in yellow shirt) of Mariners Training and Hotel Institute of MPC-Naga Looks on. Congratulations to MARINERS' NAGA for a job well done! Go MPC go! Ahoy! 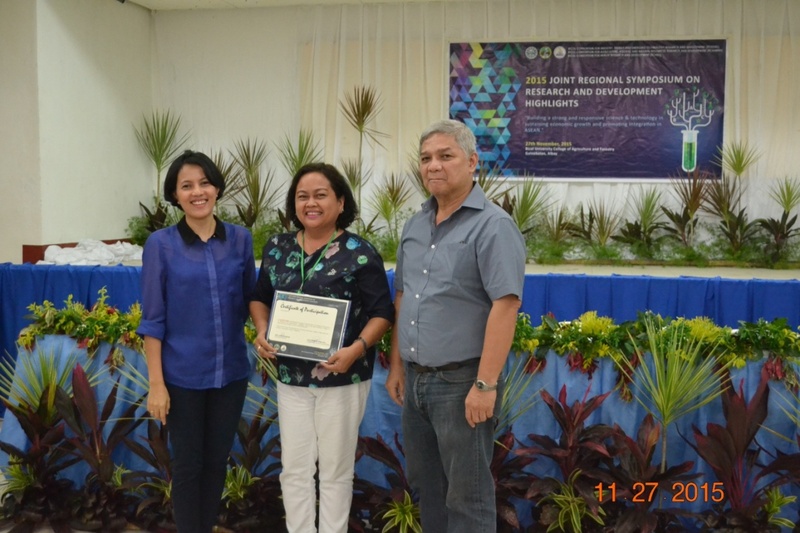 Dr. Mariel R. Estrella, the ORES Director of Mariners' Polytechnic Colleges in Naga City won the 1st and 3rd prize in the joint Regional Symposium on R&D Highlights on November 27, 2015 at the Bicol University College of Agriculture and Forestry (BUCAF) in Guinobatan, Albay. This year's theme was "Building a strong and responsive science and technology in sustaining economic growth and promoting integration in ASEAN". (Left) Dr. Estrella receives the award from the BCIEERD Director, Ms. Ruby Jane Gonzales, and DOST-V representative. (Right) A group picture with the evaluators, researchers, organizers, and participants. (Left) The members of the faculty as they listen to Executive Vice President Dr. Gabriel L. Jimenez deliver his opening remarks at the start of the seminar. 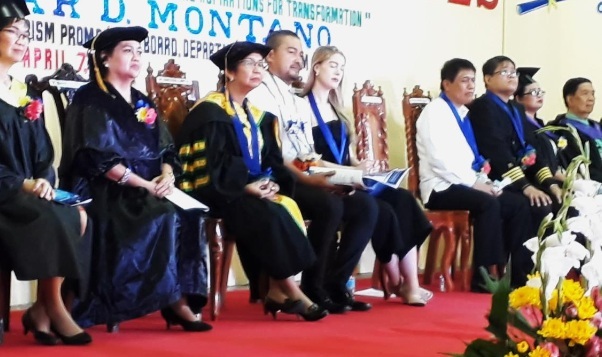 (Right) R-L, Dr. Jimenez (on the podium) with other school officials - Dean of Academics and OIC Vice President for Academic Affairs Dr. Mariel Estrella, Resource Speaker - Former Dean Dr. Nimpa U. Alipante of the University of Nueva Caceres and I.T. Expert/Faculty Member - Mr. Ian Jake Olaso, one of the seminar speakers. Naga City - Representatives from Sheffield Education Group of Australia visited Mariners' Polytechnic Colleges, this city on December 9, 2015. They presented opportunities their institution offers to Hospitality, Business and Tourism students who are in search of greener pastures for their careers. Officers from Sheffield Education Group of Australia visit Mariners-Naga as guests in a symposium attended by the school's Hospitality and Tourism students, faculty, staff and administration held at Jaime's Hall of Mariners Training and Hotel Institute (MTHI). Seated at the head table (left to right) Sheffield CEO Daljit Monga, Ms. Bianca Schuebl, MPC-Naga President and CEO Dr. Marilissa J. Ampuan and EVP Dr. Gabriel L. Jimenez (on the podium delivering the welcome remarks). We passed the ISO 9001-2008 Quality Management System re-certification main audit! 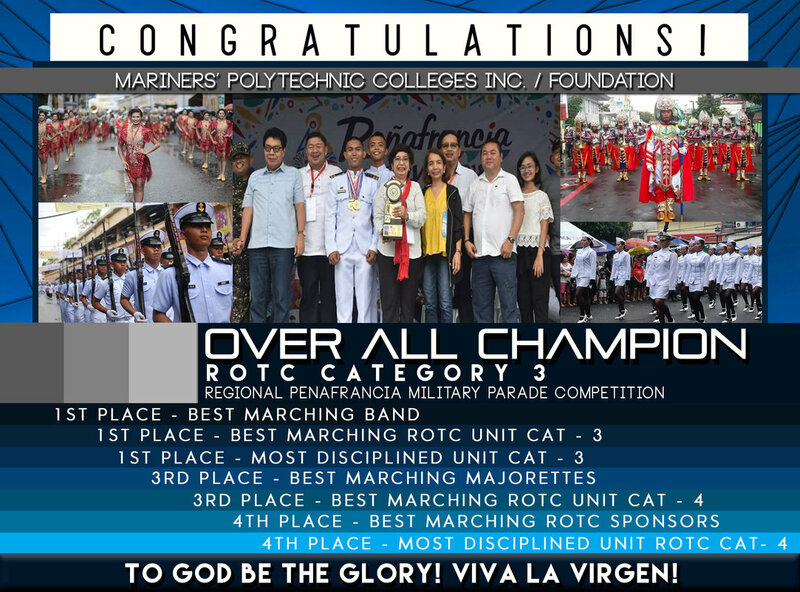 Salute to all the faculty and staff of Mariners' Naga! 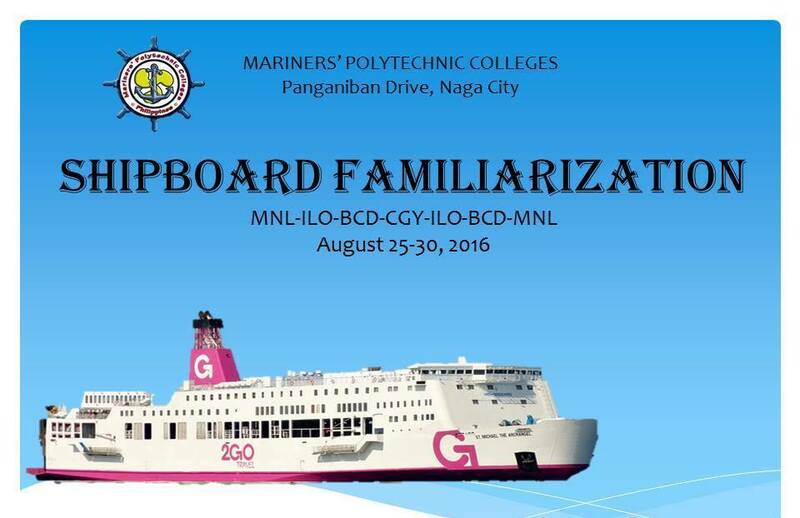 Naga City – The Mariners Polytechnic Colleges (MPC) this city has opened its doors to the two-month On-Board Cruise Ship Training Program aboard luxury liners of 2GO Shipping Company. 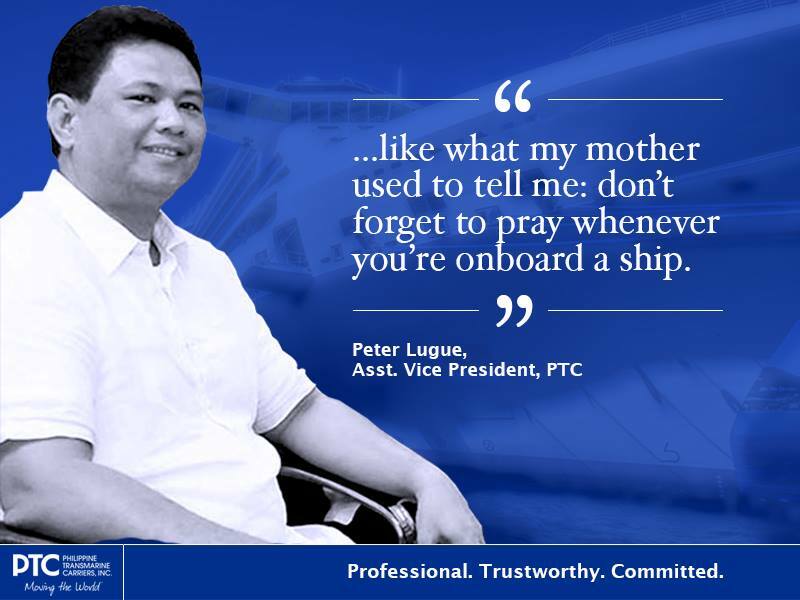 In a statement from MPC-Naga Shipboard Training Coordinator Ensign Jose Parcia, he said the program is open not only to graduates of Mariners but as well as those from other schools who are interested and are willing to undergo the work experience. Naga City – The annual traditional visit of the image of Our Lady of Peñafrancia, Patroness of Bicolandia to the campus of Mariners Polytechnic Colleges (MPC) this city was held on September 2, 2015. 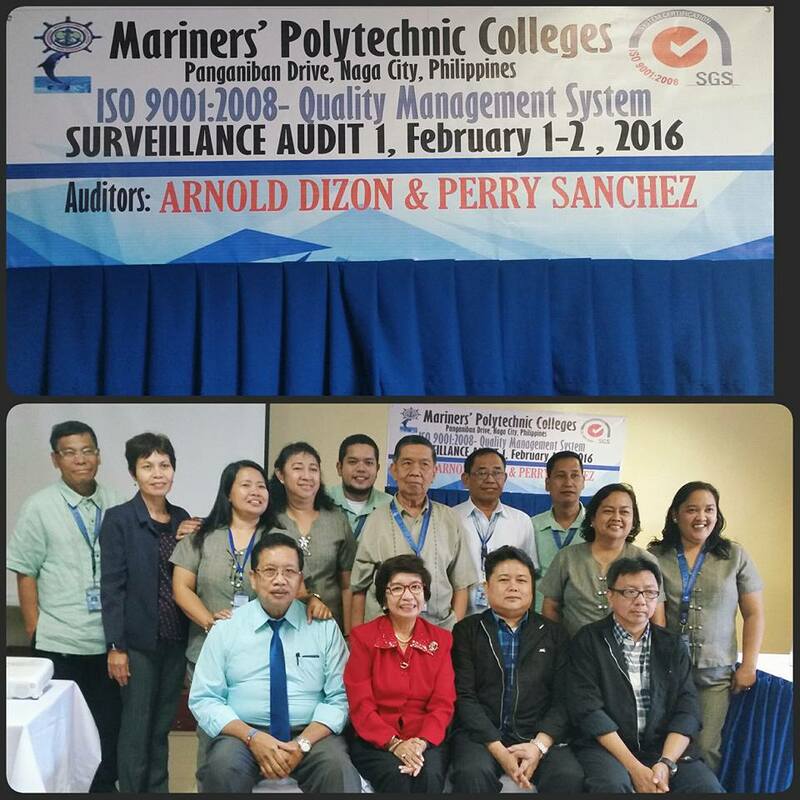 Naga City – Students from Mariners Polytechnic Colleges (MPC) this city passed the qualifying examination given in August this year 2015 by the European shipping company - Marlow Navigation. Kuala Lumpur, Malaysia – An entourage of school officials led by Mariners Polytechnic College (MPC) Naga President Dr. Marilissa J. Ampuan visited this country to fulfill a mission for the school and students on their On-The-Job Training (OJT) abroad, in compliance with the requirement for their Hospitality and Tourism courses. 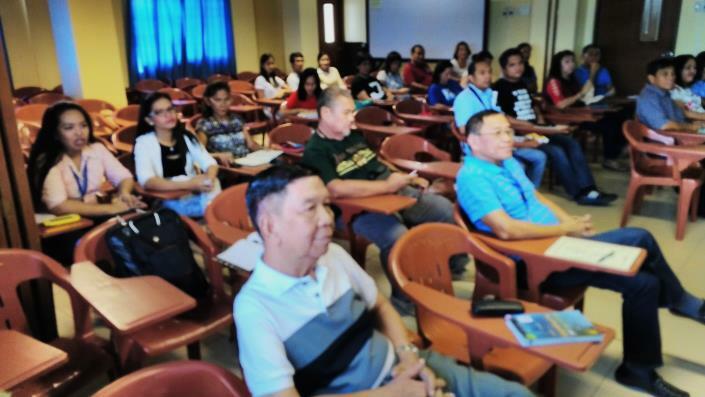 Naga City – The faculty and non-teaching staff of Mariners Polytechnic Colleges (MPC), this city attended a two-day development seminar as part of the preparation for the opening of classes for academic year 2015-2016. 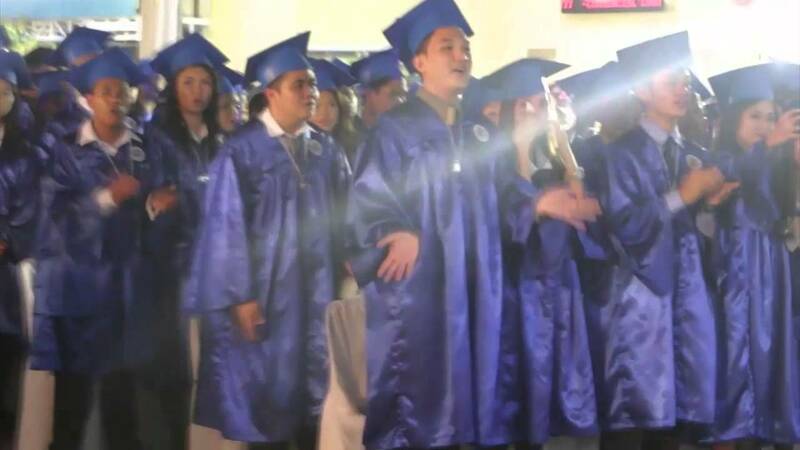 Naga City – The Mariners Polytechnic Colleges (MPC) this city has been invited to be featured in ABS-CBN’s morning TV show ‘Marhay na Aga, Bicolandia’ in its June 1, 2015 edition. 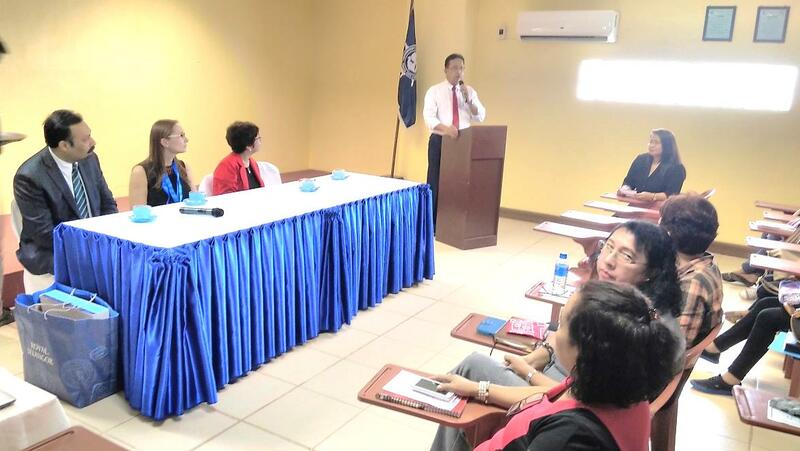 Virginia Beach, Virginia, U.S.A. – Students of Mariners Polytechnic Colleges (MPC) Naga City campus was visited by the administration’s entourage led by President Dr. Marilissa J. Ampuan and Judge Freddie Ampuan in Virginia Beach, Virginia, USA. Naga City – Mariners Polytechnic Colleges (MPC) this city has opened the Innovative and Specialized Programs beginning this summer of 2015. These programs are designed to provide participants with modern tools and techniques that can enhance the skills of students, their efficiency, productivity and output in the culinary and hospitality fields. 35 students of MPC-Naga leaves for U.S.A.
Naga City – Students of Mariners Polytechnic Colleges (MPC) this city have joined the season 2015 Work and Travel (WAT) program. Naga City – The Mariners Polytechnic Colleges (MPC) this city has been given approval by the Department of Education (DepEd) to offer Grades 11 and 12 in June 2016.MPC-Naga will offer two avenues - the Academic and TechVoc tracks. This, in a nutshell, was the message of Rep. Roman T. Romulo (lone district, Pasig) in his speech as guest of honor during the 41st Commencement Exercises of Mariners Polytechnic Colleges (MPC), this city, on March 29, 2015. Apostleship of the Sea Value Formation resource speakers, (left to right) Rev. Fr. 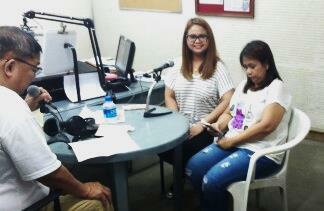 Paulo H. Pigol, C.S, Sr. Vicky G. Sanchez, Ms. Evita Jimenez, Mrs. Evelyn Del Rosario and Engr. Ramon Abalayan, all advocates of healthy food and lifestyle pose for a souvenir photo in-front of Mariners Training and Hotel Institute (MTHI). Naga City — The OrganiKo Bikolano movement has figured prominently in the three-day commemoration of Mariners Polytechnic Colleges (MPC) – Naga and Mariners Polytechnic Colleges Foundation (MPCF) – Camarines Sur’s 41st Foundation Anniversary celebrated from March 3 to 5, 2015. 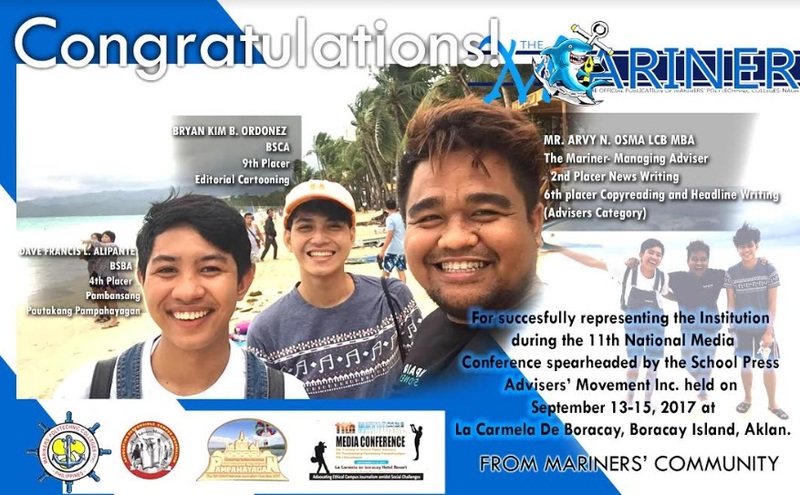 Naga City – Two representatives from the Mariners Polytechnic Colleges (MPC) this city, have qualified as winners, landing position in the top ten slots as contestants in the 14th Luzonwide Higher Education Press Conference at Pulsar Hotel, in Caggay, Tuguegarao City, Cagayan Province. The event was held from February 5 to 7, 2015. 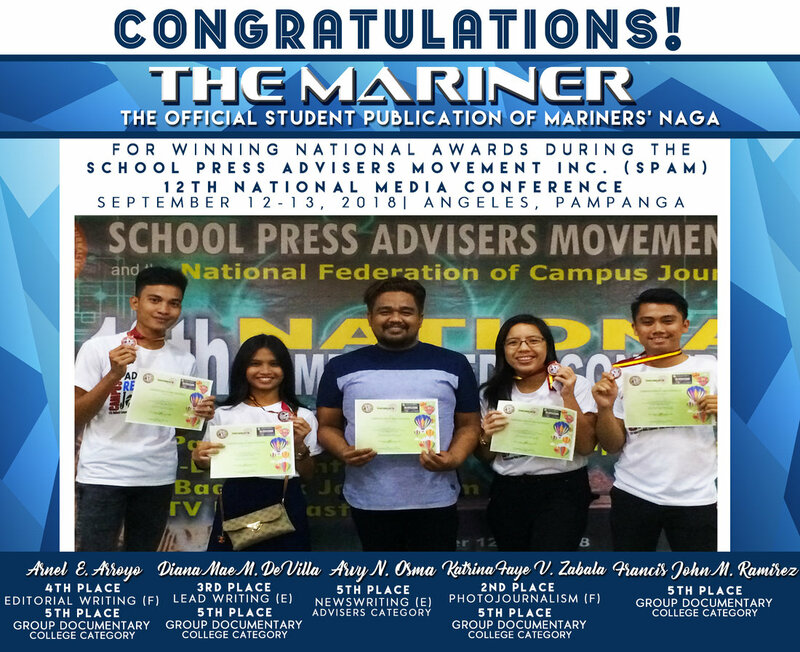 Neowin Cepe and Danielle Llamas, both BSCA 2 students of MPC-Naga represented the school publication “The Mariner”. 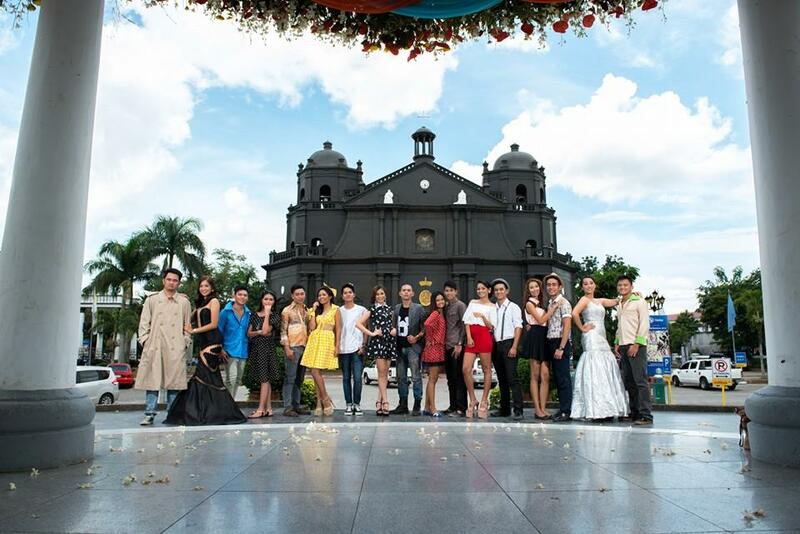 Metro Manila – A coed of Mariners Polytechnic Colleges (MPC) Naga won 1st Runner-up in the recently concluded search for Miss Aviation 2015 held at the Rigodon hall, Makati Peninsula Hotel in Makati City on February 10, 2015. Aside from winning 1st Runner-up prize, Resoles who is at the same time flight cabin crew scholar-student of Wings Institute of Global Careers, Inc., a training school for future Flight Stewardesses, also captured the titles for ‘Best in Catwalk’ and ‘Miss Nisce Skin’. 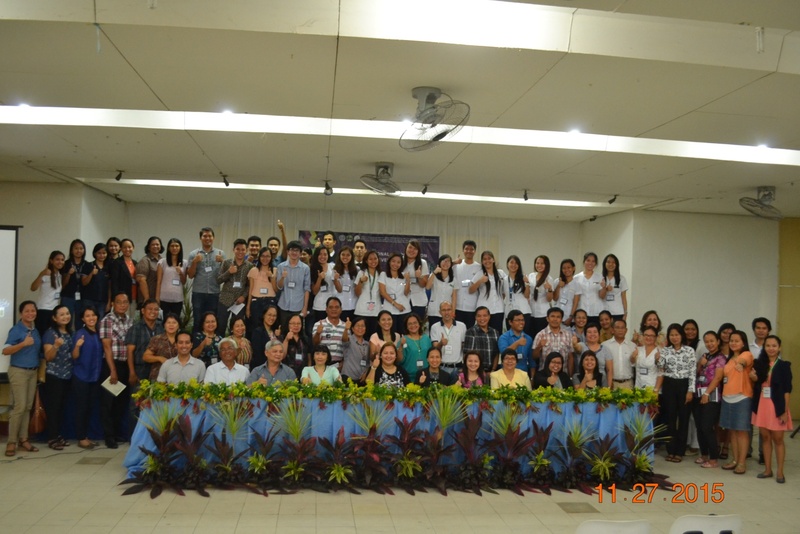 Naga City – The members of the staff of ‘The Mariner’, the official student publication of Mariners Polytechnic Colleges (MPC) Naga participated in the recently concluded 15th Region V Tertiary Schools Press Conference (RTSPC) held at the University of Saint Anthony in Iriga City from January 7-10, 2015. 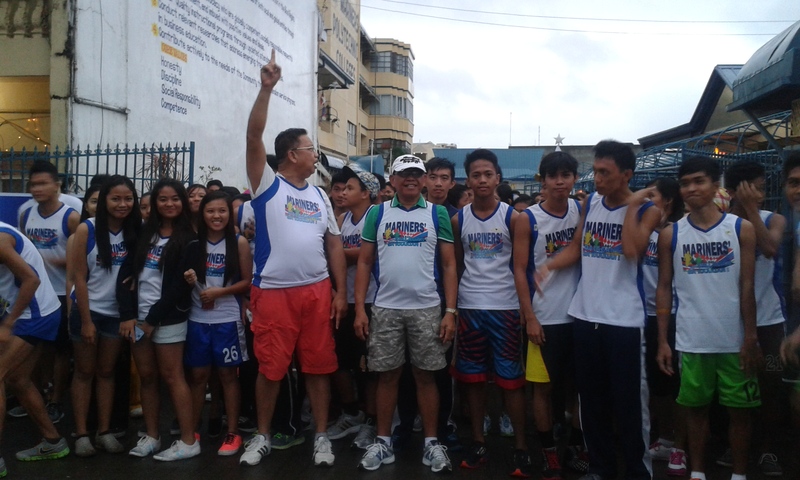 Naga City - Mariners Polytechnic Colleges (MPC), this city conducted a 5k open fun run on December 14, 2014 to raise funds for the street children in the city and from barangays in neighboring municipalities. Naga City – The Mariners Polytechnic Colleges (MPC) this city has conducted a tribute to Engineer Jaime Lazaro Jimenez, Jr., dubbed as ‘Alay kay Boboy’, as the institution fondly remembered his 24th death anniversary in fitting charitable activities with the poor.